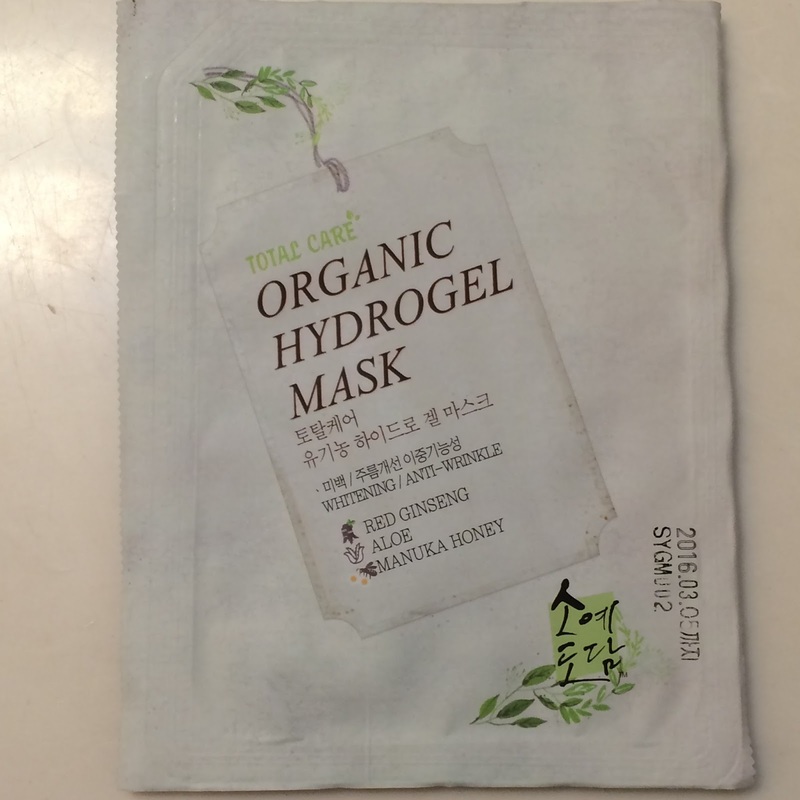 Performance: This mask comes in a nice thick plastic package to ensure the mask does not get crushed. 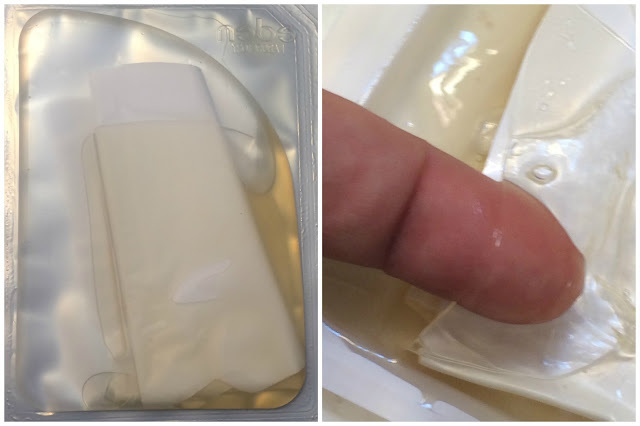 There are two sheets (top and bottom) that are made of gel. 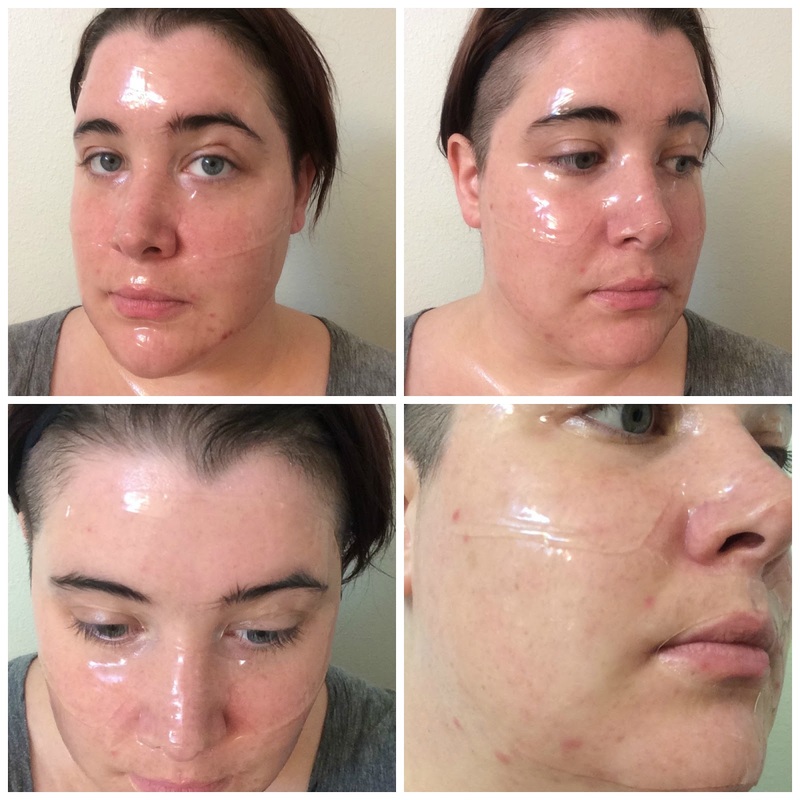 I love gel masks because I feel like they conform to my face very well and they generally stick very well too. I applied each piece to my face, and took the remaining gel essence from the package and applied it over the mask to keep it moist longer. The mask smelled of ginseng and a hint of honey - it's a very calming scent for me, I've grown quite fond of this scent lately and it's a relaxing scent for me that I really enjoy in the evenings. It lingers for a few minutes after application but then the scent dies down and basically disappears. There is a nice cooling effect while the mask is against my skin, and it feels very soothing. 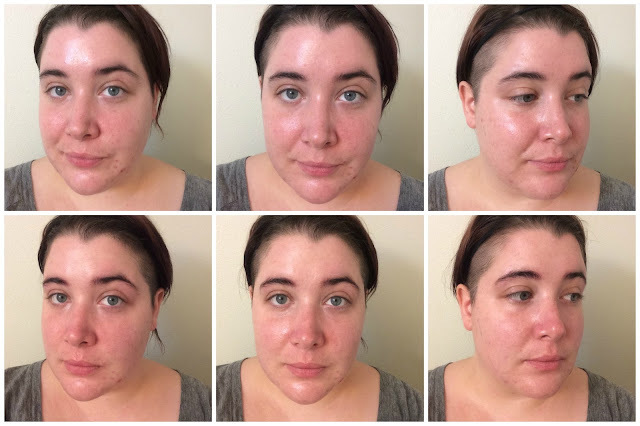 After I removed the mask my skin felt much firmer, and my acne (or I guess I should say, two cysts coming in along my jawline...) felt a little more calm and much less painful as well. This is a nice mask, but I'm not sure it's nice enough to be worth the higher price point. Before (top row) and After (bottom row).